Lisbon is Portugal’s hilly, coastal capital city which finely blends modern culture and its unique heritage and traditions. At first glance, Lisbon may feel austere but the charm of the city can best be experienced, by exploring its different neighborhoods and its rustic cafés, bakeries and tavernas where the fado is performed. There is a lot to see and experience in Lisbon and each of its neighborhoods and attractions has its own distinct history and character. Here's my list of some of the top Things to Do in Lisbon, while experiencing its unique architecture, history, culture, food and drinks. A walk in Alfama is a must-do as it is the oldest district of Lisbon and it’s cultural soul. Walk aimlessly, and experience its history and vibrant energy. Talk to the locals, and try some of its cafés, bars and restaurants. One of the best ways to start exploring Alfama is to take the famous tram 28 to Castelo São Jorge as it’s a steep climb up the hill, and then walk down the neighborhood. The number 28 tram is the classic yellow tram that runs through the narrow streets of Lisbon and it's also an unique experience to ride it. 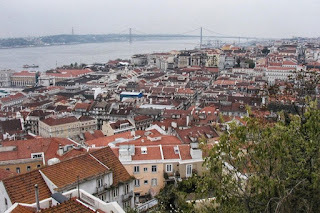 Lisbon is often referred to as 'A Cidade das Sete Colinas' (The City of Seven Hills) as according to legend, Lisbon, like Rome, is built on seven hills. Long after your trip, you will still remember the gorgeous views of the brick red rooftops, rolling hills, castles and the River Tejo. 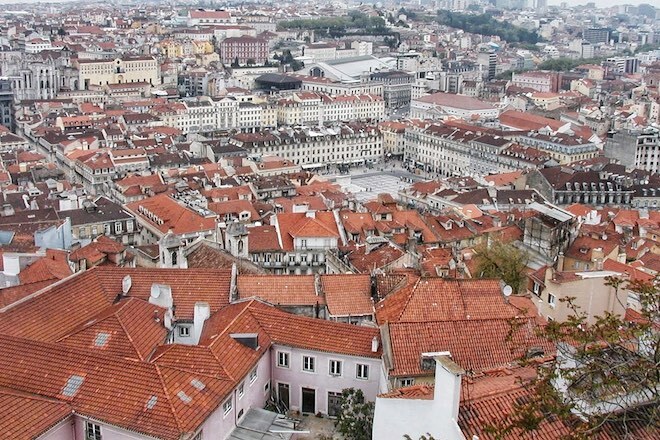 Miradouros are viewpoints that allow you to experience the majestic and breathtaking views of Lisbon and there are several viewpoints you can choose from, as each has its own experience. One of my favorites is the view from Castelo de São Jorge, a Moorish castle dating from the 11th century, which is well known for offering the best views of Lisbon. Walk around the walls of the castle and it’s courtyard located on the highest of Lisbon’s seven hills. From here, you can get some stunning views of Lisbon's red rooftops, historic neighborhoods and River Tejo. While in Afama, Miradouro das Portas do Sol, a hilltop terrace is another great place to enjoy some great views, specially around sunset while sipping a drink. Keep in mind, this place can get crowded during the peak tourist season in the summer. The Elevador de Santa Justa, a historic elevator from the early 20th century, situated at the end of Rua de Santa Justa, is also another great miradouro. Admission to the lift is €5 but with the 24-hour public transport pass (€6) you only pay €1.50 for the viewing platform. Praça Luís de Camões which is a small square and popular meeting spot in between Chiado and Bairro Alto is a good starting place to begin exploring the Chiado, Bairro Alto and São Bento neighborhoods. Behind the square there is a historical kiosk serving traditional Portuguese refreshments and around the area there are several museums, restaurants and theaters. 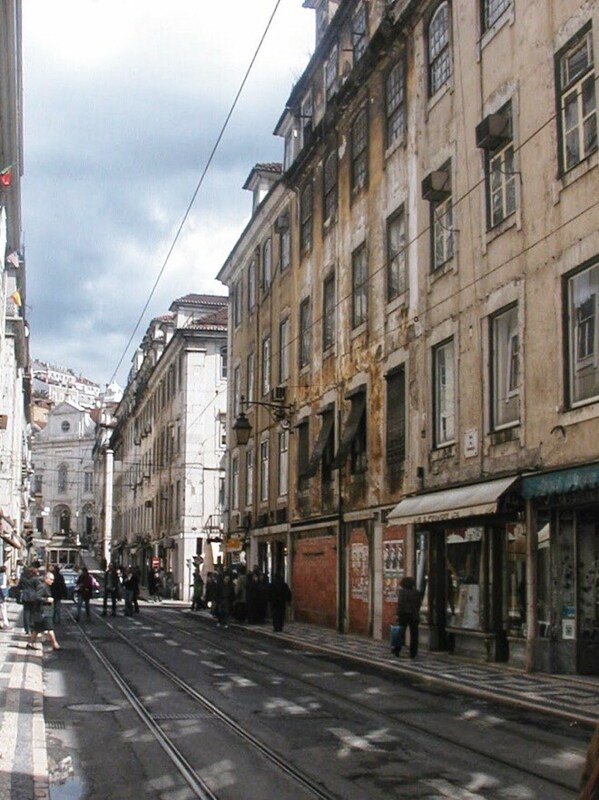 The Chiado is an important cultural area, with several shops, museums and theaters. Its most famous café is called A Brasileira on Rua Garrett, which historically attracted intellectuals, poets and writers, including poet Fernando Pessoa. Today, the café attracts lots of tourists and prices are over inflated, but this is a good place to get a bica, a very strong espresso with some snacks or with the pastéis de nata. Bairro Alto is a very old residential area, with cobbled streets and has many small shops and restaurants ranging from the pricey to the hole-in-the wall places. It is also the nightlife hub of Lisbon, with dozens of tiny bars and clubs, including fado bars. Just west of the Chiado is São Bento, a very interesting neighborhood full of antique shops, restaurants and also home of the Portuguese parliament. The Palácio de São Bento, which houses the Portuguese parliament was built in 1598 as a benedictine monastery, and after major renovations it became the house of the Portuguese parliament. 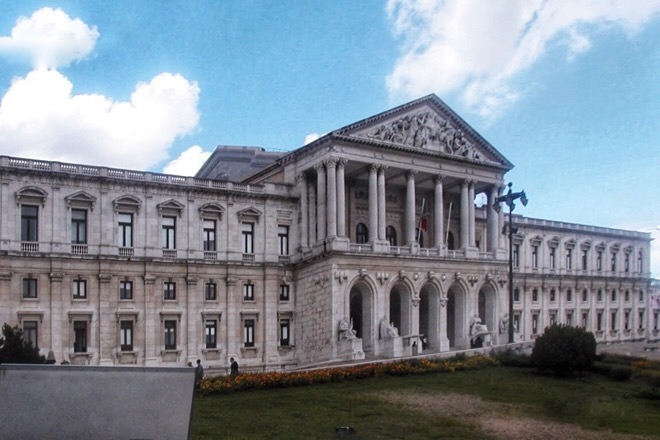 You can walk up the staircase to the entrance of the parliament building and admire its beautiful facade or take a look at the residence of the Prime Minister, behind the building. Reservation is required to see the interior. The best way to get to these neighborhoods is by tram 28 and the Elevador de Santa Justa from the Baixa up to the Rua Do Carmo. Belém is a beautiful and historic district west of central Lisbon and is known for its iconic and important tourist attractions, many of which are a reflection of the early Portuguese explorers and the country's rich seafaring history. 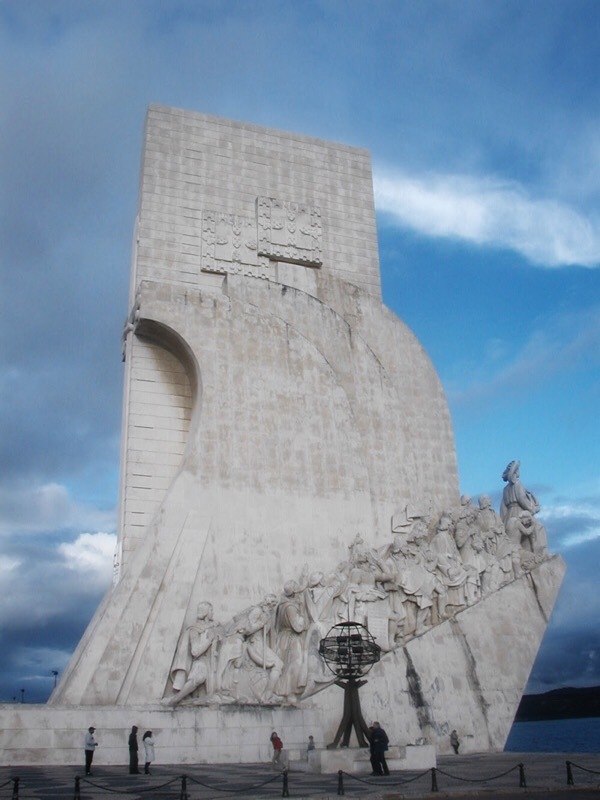 The Monument to the Discoveries is a tribute to its great explorers. Many of the monuments in Belém are a reflection of its role in the 'Age of Discoveries'; some were funded by the vast wealth that flowed into Portugal from the colonies. The Belém Tower is a fortified tower built in the early 16th century and is a UNESCO World Heritage Site, for its reference, to the significant Portuguese maritime discoveries, during the era of the Age of Discoveries. 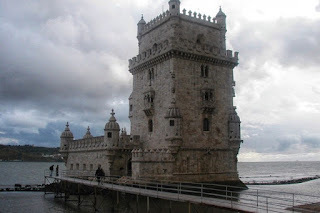 Both the Belém Tower and the Monument to the Discoveries has an observation deck for some nice panoramic views of the River Tagus as well as Belém and its monuments.. The 16th century Jerónimos Monastery is an architectural masterpiece filled with high vaulted ceilings and intricate artwork. The tomb of explorer Vasco da Gama is placed at the left of the entrance and the poet Luís Camões is on the right, in the Santa Maria church. A typical visit to Belem takes half a day, but you can extend it to a full day by visiting the museums, walking along the waterfront or taking a ride on the Belem ferry as it crosses to Porto Brandao on the southern side of the River Tejo. Sintra is a picturesque town in the foothills of the Serra de Sintra mountains, known for its palaces, decorative gardens, Moorish castle and beautiful scenery. The town center is charming with cobbled streets, shops and cafés. Cascais is a coastal resort town, just west of Lisbon, known for its sandy beaches and varied coastline of impressive cliffs. The town has some beautiful architecture, free art museums and well maintained parks. Sintra and Cascais are two popular day trips from Lisbon and can be explored in a single day if you have a car. However, parking in Sintra is very difficult to find, during the summer weekends, and so it is highly recommended to take the train from Lisbon to Sintra. The 434 bus route is specifically designed for tourists visiting Sintra as a day trip. 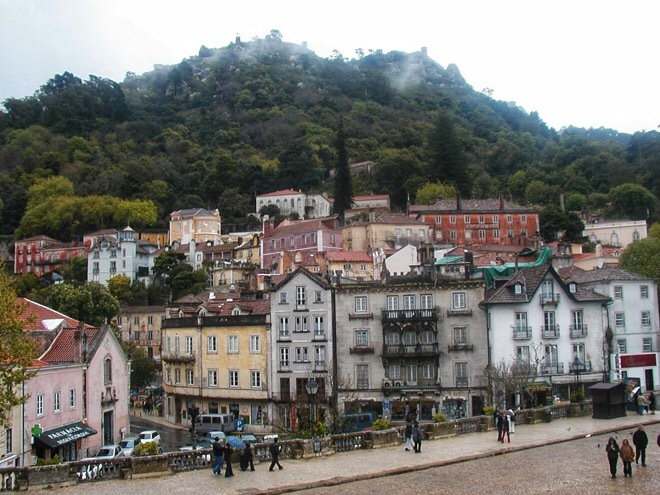 The 434 bus route starts from the Sintra train station and includes stops in the town and the hills where the Pena Palace and the Moors castle are located, before returning back to the train station. A single loop ticket for the 434 bus service costs €5 and the ticket can be purchased from the bus driver. For art and history lovers, exploring the Portuguese Manueline architecture, provides a great insight into the historical past and evolution of Portuguese history. Manueline architecture also known as Portuguese late Gothic is a genuinely Portuguese form of artistic expression and a reflection of its past history, particularly during the period of the Age of Discoveries. The style emerged during the reign of King Manuel I (1495-1521), in the design of numerous monuments, windows and doorways, and was influenced by elements of Moorish architecture and the late Gothic architecture during the Late Middle Ages. Manueline architecture flourished during the first decades of the 16th century, incorporating maritime elements and representations of the discoveries brought from the voyages of Vasco da Gama and Pedro Álvares Cabral. The Tower of Belém and the Jerónimos Monastery are great highlights of the architecture from the early 16th century, while the Monastery of Batalha and the Convent of Christ in Tomar, are some of its best examples from the earlier period. 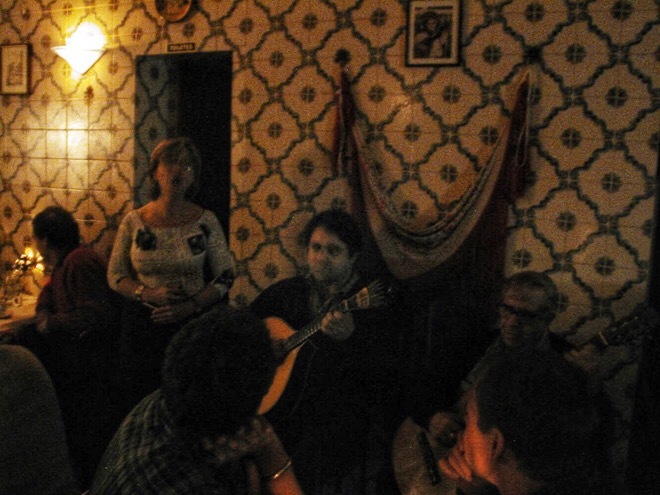 Fado is a window to Portuguese culture and soul and while in Lisbon, it is a must-have experience for travelers that appreciate music and culture. Alfama is the place where fado was born. 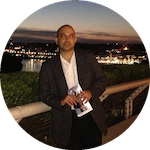 If you don't know much about the fado, the best place to start, is a visit to the Museu do Fado, a museum in Alfama that traces fado’s history from its working-class roots to international stardom. 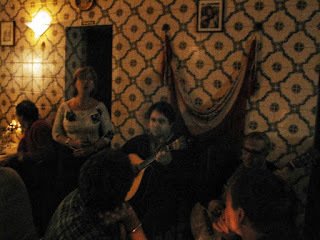 The restaurants in Alfama and Bairro Alto are the best places to experience fado, where amateur and well-known singers perform in the evening. In Portugal, life revolves around coffee and you will find a good pastelaria or coffee shop in every neighborhood. In between your explorations of the city, take the time to stop by these coffee shops and enjoy a café with the famous pastéis de nata. If you are in a hurry, it's not uncommon to drink your coffee standing at the counter; in fact many locals do just that. When you order a coffee 'um café', you will be served an espresso, which is the most popular coffee in Portugal, and its drunk multiple types a day. If you want a café or espresso that has been topped up with milk, you ask for 'um pingo'; or 'café descafeinado' for decaffeinated coffee or espresso; or 'um abatanado' for something similar to caffè americano. 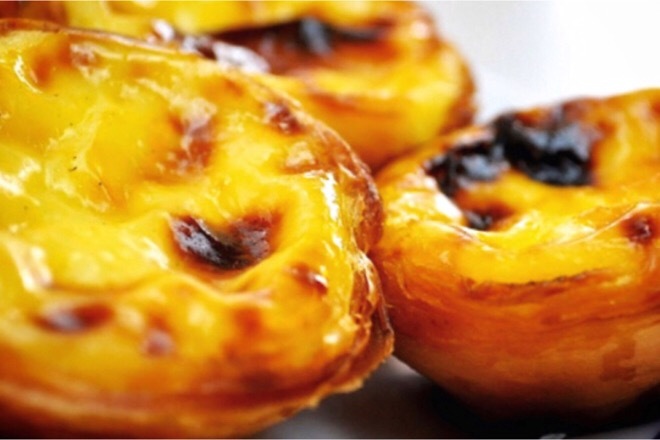 Some of the most historical places to try the Portuguese pastries are Pastéis de Belém, Casa Piriquita and Café A Brasileira. Pastéis de Belém in Belem, is where the original Patéis de Belém were first made in 1837, following an ancient recipe from the Mosteiro dos Jerónimos. Casa Piriquita in Sintra is a popular old café in Sintra known for its famous queijadas (cheese pies) and travesseiros (almond pastries). Café A Brasileira in Chiado is the city’s most famous café and one of the oldest. 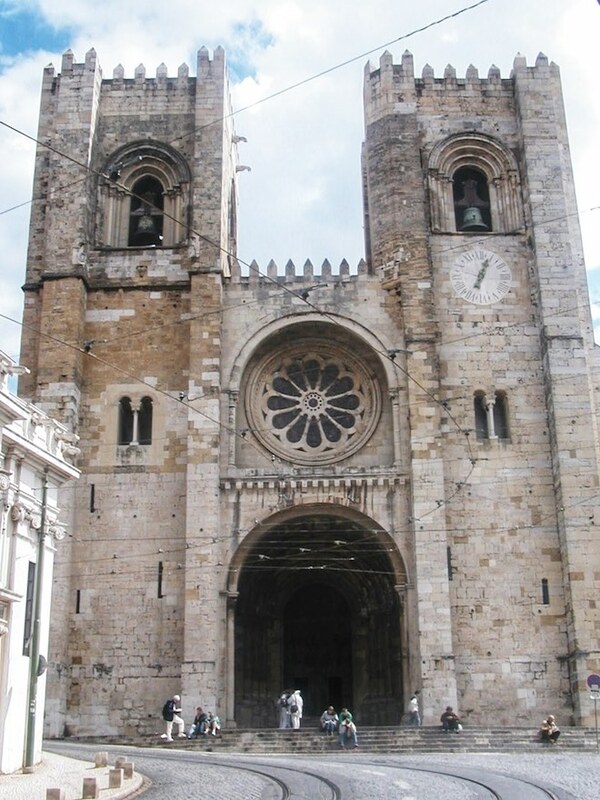 The Lisbon Cathedral often called the Sé is the oldest church in the city and a National Monument. The Sé Cathedral is a wonderful ancient building that is steeped in history. To the rear of the Cathedral are the ancient cloisters, which were built on top of a ruined mosque and a timeless reminder of Moorish rule in Lisbon. The cathedral is located on the main road from Baixa to Alfama and is a good place to explore while walking around Alfama. Lisbon requires a minimum of 3 days to explore and if you have a week there is a lot you can do including a few day trips to Portugal's Centro region. Portugal's Centro region, offers travelers a fine combination of art, culture, history and natural splendor, with many of its attractions just around 2 hours drive from Lisbon. For a three day itinerary, start with Alfama and then head out to the other main neighborhoods of Chiado, Bairro Alto and Belem. If you are comfortable with moving quickly and taking in as much as possible, you could also do a trip to Sintra. The Lisboa Card, can be useful if you plan to visit the different attractions, so plan accordingly. During the summer season, Lisbon can get very busy, so start early or late in the day, and pre-book as many tickets as possible to avoid the long queues. For a list of notes, tips and experiences take a look at our Things to Do Project where travelers have shared useful information, which will help others to better plan their trip and enjoy Lisbon. And as the Portuguese would say, Boa Viagem ! !